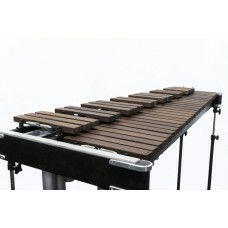 A 3,5 octaves Pendim xylophone with air dried and aged bars of Dark Honduran Rosewood. 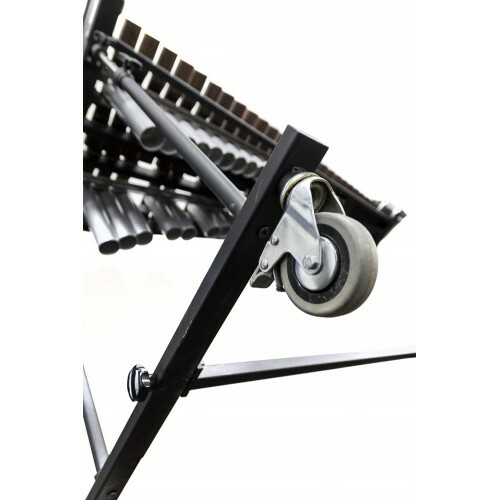 Strong and easily transportable frame with adjustable height. 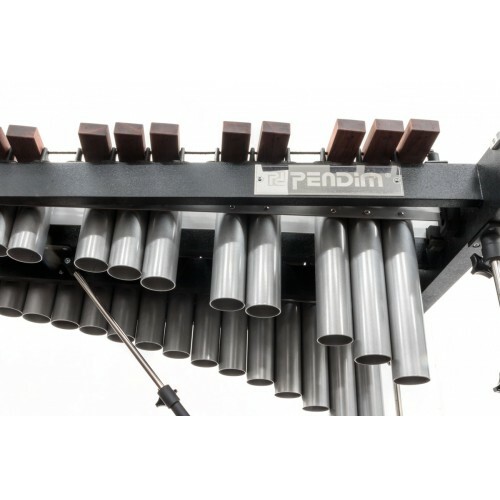 This is a handcrafted instrument, which means every bar and every aluminium resonator are tuned and adjusted to each other. 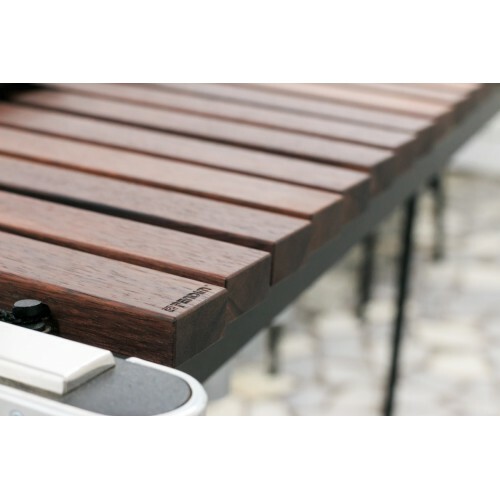 Dark Honduran Rosewood is the top of the top wood for crafting percussion instruments, it's very rare, extremely hard to find and expensive. 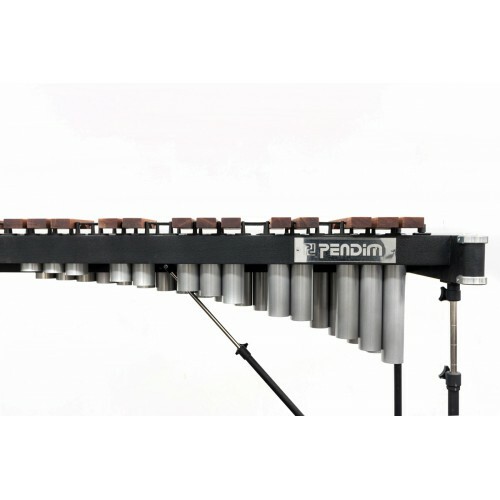 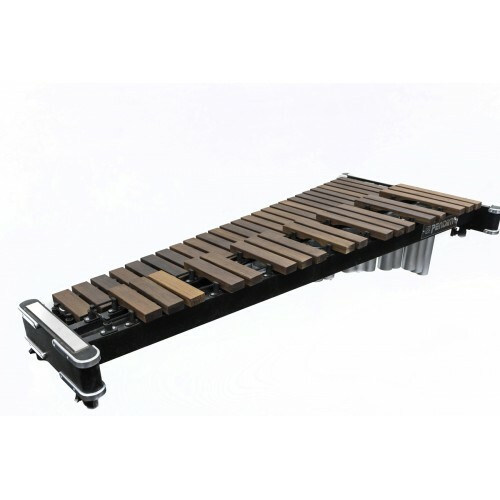 All that gets the xylophone at the top of its class, with a very high quality of the sound. 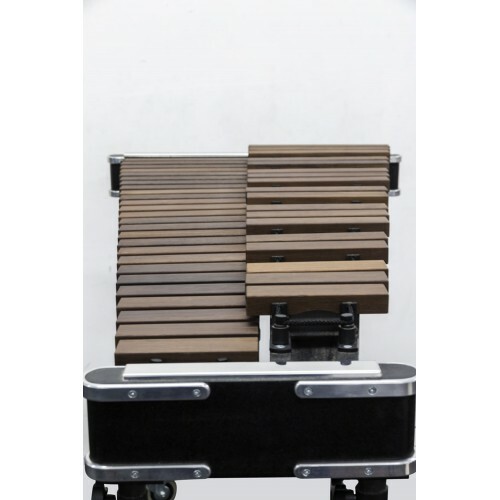 Xylophone mallets are included free with the xylophone.